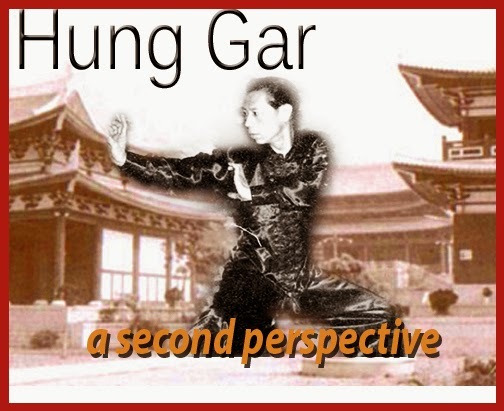 Hung Gar Kung Fu, my second perspective. 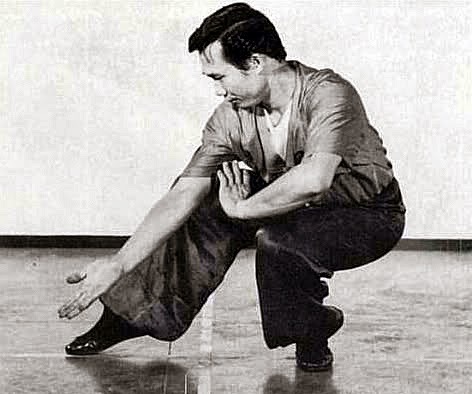 Following up on my recent post --- using the proud traditions of Hung Gar as an example of other deeply established systems across the Kung Fu world, we arrive at an interesting characteristic of many of the traditional martial arts. Readers might be surprised to find in Hung Gar as in the other Chinese arts a strong correlation between fighting and healing. Let’s discover the reasons why. Monastic influences – Similar to some of the medieval Christian orders of Europe, the religious orders of China often acted as repositories of knowledge. Not only did they study and maintain various disciplines of learning from the past, they continued to experiment. They collected and studied plants for medicinal purposes; they studied the body and ways of maintaining its health; they were interested in longevity of the body, the mind and the spirit. Buddhist and Daoist adepts - again like some of their Christian counterparts in Europe – were expected to perform good works amongst the populace which, of course, often involved healing. It goes without saying that some Chinese monks and nuns were also famously involved in the fighting arts. There is an intersection of fighting and healing in the legend of the Indian monk Bodhidharma. Bodhidharma arrived at the Shaolin Monastery where he noticed the the monks’ poor health. He taught them martial arts. Their health revived. They now had the energy and the will power to carry on with their devotions. Plus, they now had Shaolin Kung Fu. Or so the story goes. The apothecary and the fist – An excellent example of the fusion of fighting and healing comes from the Wong Fei Hung lineage of Hung Gar. 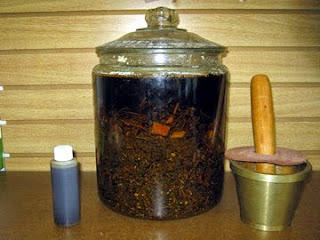 Wong’s father, one of the Ten Tigers of Canton, ran a clinic specializing in traditional Chinese medicine. Wong Fei Hung carried on the tradition of a healer. The Lam family of Hong Kong took to that tradition first through Lam Sai Wing, a top student of Wong’s, and then onto Lam Cho. Not unlike other martial arts families, the Lam family ran a clinic on one side with a martial arts practise hall attached. The tradition is carried on by his children. Out from the cities, in the rural areas, people often went to the local martial arts instructor for medicinal purposes. Martial artists earned their living as bodyguards, members of militias, street performers, bandits and teaching. Traditional medicine was yet another source of income. Dit da – Intense training in Hung Gar iron hand and iron body would require the practitioner to have access to traditional herbal formulas in order to protect the body. These may be applied externally or ingested. Medicines such as these would be handed down from instructor to student within the system, as we see happened in the Lam family. Within – or without. Iron hand/iron body training is exacting stuff, requiring a slow and determined step by step process. Securing herbal formulas from the local herbal shop at each step of the way might reveal too much of the knowledge to those outside the group. The reverse can be true. Dit Da Jow (hit-fall wine) ointment may be sold to the general public by a member of the Hung Gar clan – but without certain ingredients that are set aside only for the use of clan insiders. Hung Gar instructors would be required to know the basics of acupuncture/acupressure, massage and bone setting to heal members inside the clan. Again, I use Hung Gar as an example. The same points – Acupuncture/acupressure, in Hung Gar, play important roles both in fighting and in healing. A point such as TW 17 can be needled to cure a headache, or struck as a serious target. The skill is interchangeable. If you visit the office of a traditional acupuncturist, you may see a miniature replica of a human body, its surface covered with acupuncture points. Kung Fu makes use of the “copper man dummy”, a life-size structure of a human being covered with indentations where the points lie. The hard and the soft – A misconception exists about most “hard” styles of Chinese Kung Fu, as there is about Karate. Hung Gar, people believe, takes the hard, muscular approach to beating down an opponent. It doesn’t. And here’s another comparison to the broader spectrum of the Chinese arts – most of the so-called hard styles progress from the seemingly iron hard external expressions to the flexible expressions of internal power. As training progresses, medicine plays an increasingly important role. 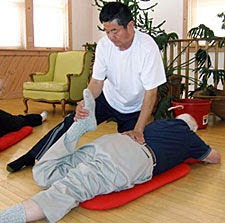 The Hung Gar practitioner knows that the health of bone and muscles lies in a balance between strength and flexibility. They learn that speed is enhanced through relaxation. They know that bruises heal faster when internal energy is directed in and around the area of the bruise by the mind. The site of the bruise is relaxed, then opened. Fresh blood – and chi – course in; old blood – and negative chi – are flushed out. Broken bones set faster if the mind concentrates on a smooth flow of energy into that particular sector of the body. In fact, healing time accelerates to 1/3 of normal healing time. We can go on. The famous Iron Wire Fist of Hung Gar is a laboratory wherein one trains not just in strength and internal power but where one explores the deeper concepts of traditional Chinese medicine. Indeed, Hung Gar’s roots, like those of the other systems, are deep and solid. And its soil is rich and abundant. I’m running into overtime again. There is much more to Hung Gar – and the other systems. Let’s explore this some more in the next post. Went to this center acupuncture and the staff was great. They are professional and understanding. The acupuncturist Mississauga really takes his time listening to the patient. The treatment was great and I felt much better afterwards.